1. This photo series is powerful and quietly breathtaking. 2. This week, The Nectar Collective announced a new idea that we absolutely love. It's a new group of bloggers that connect from around the world to volunteer and do random acts of happiness together. Sounds perfect, right? Check out how you can get involved! 3. 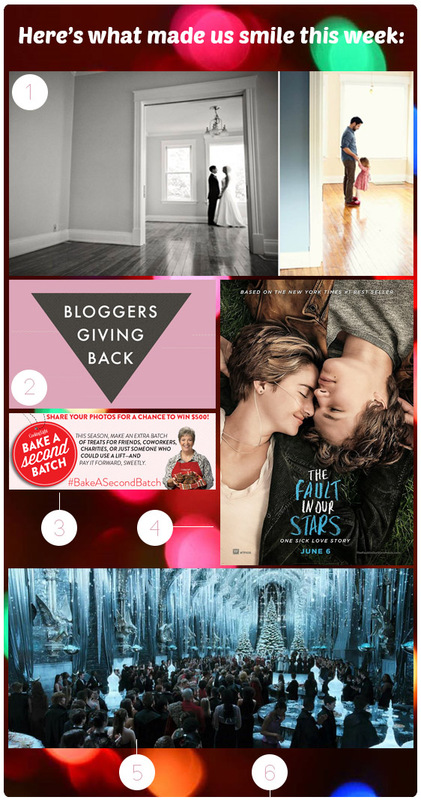 If you have a few seconds, please vote for us in Cooking Light's #BakeASecondBatch contest! 4. The TFiOS official movie poster!! How do y'all feel about that tagline? We're not the biggest fans, but John Green himself seems to not mind it. 5. CHRISTMAS IS THIS WEEK, YOU GUYS!! Because of this, we might not be blogging as much/our posts might be on different days/we might etc. etc. Nevertheless, Happy Christmas! Go hang out with family and watch some Harry Potter - we're sure ABCFamily will be marathoning it ... and there's just something special about an ABCFam HP marathon. 6. The Mask You Live In - this looks super interesting. 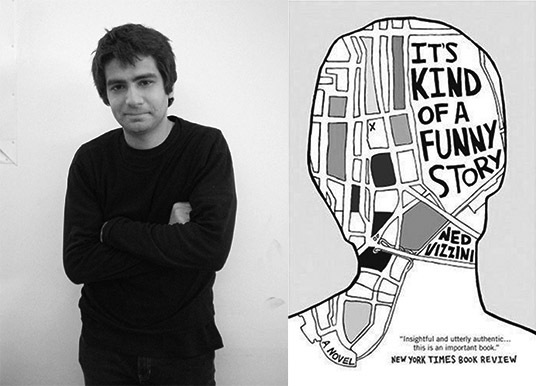 On a sad note (definitely not smile-worthy, but definitely worth mentioning), one of Sarah's favorite authors, Ned Vizzini, died on Friday :((( Did anyone else ever read It's Kind of a Funny Story? It's one of my favorite books and genuinely got me through a tough time. The movie is wonderful, as well. I'll be rereading this one and watching it soon to commemorate this wonderful author. What made you smile this week? Are you excited for the holidays? Leave a comment!